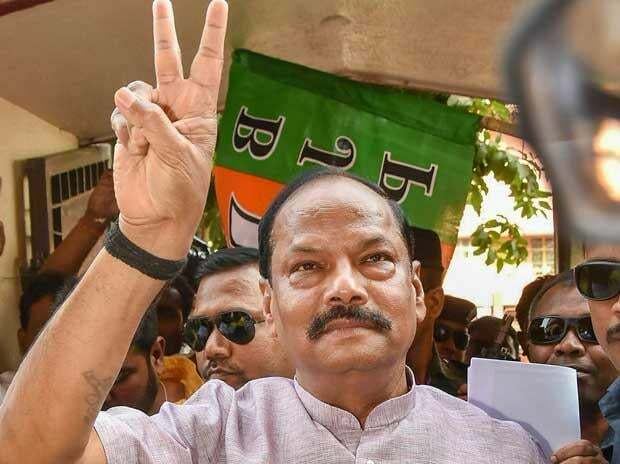 Chief Minister Raghubar Das and other BJP leaders have been claiming that the state has progressed due to the "double engine"
Jharkhand was rocked by a baby-selling scandal and gangrape of five activists involved in raising awareness against human trafficking in 2018, which also witnessed lynchings and related incidents. Union minister Jayant Sinha stoked a controversy in July after he garlanded eight convicts in the Ramgarh lynching case when they came out of prison on bail and offered them sweets. His act invited severe criticism from the Opposition which said it was "truly despicable". Sinha, who was elected to the Lok Sabha from the Hazaribagh constituency in the state, also came under attack from his father and former Union minister Yashwant Sinha. Before this episode, two Muslim men were allegedly lynched by a group of enraged villagers on suspicion of cattle theft in Godda district in June. A couple of days later, BJP MP from Godda, Nishikant Dubey, said he will foot the legal expenses of those arrested in connection with the lynching. On the positive side, Jharkhand made rapid strides to finish second on different yardsticks of economic growth at the national level. The state was also ranked fourth in ease of doing business. Chief Minister Raghubar Das and other BJP leaders have been claiming that the state has progressed due to the "double engine" - saffron party governments at the Centre as well in Jharkhand. Celebrating the state's 19th Foundation Day on November 15, Das announced that free mobile phones would be distributed among 28 lakh farmers from next year to help them know market rates and keep away middlemen. A total 1,760 tablets were distributed for animal census. Das and Governor Droupadi Murmu also declared the entire state as open defecation free, though the target was October 2, 2019. Lohardaga, Hazaribagh, Deoghar Ranchi, Dhanbad, Ramgarh and Bokaro districts became totally electrified districts with Das pledging to electrify the entire state by the year end. There was a ground-breaking ceremony of 50 food processing units coming to the state during the two-day Global Agriculture & Food Summit on November 29 and 30 with an investment of Rs 271 crore that would fetch direct and indirect jobs of nearly 6,000. The chief minister gave credit to farmers and also promised that the government would purchase for three rupees per unit through grid if the farmers embark upon solar farming on barren land. The state government will also pay the premium of interest generated on loans taken by farmers if the latter returned the loan within one year of taking the money. The state government had introduced a policy under which women can register for one rupee in the event of purchase of land or house up to Rs 50 lakh. Prime Minister Narendra Modi rolled out the health care scheme Ayushman Bharat from Ranchi on September 23. For tribal welfare, the government introduced the anti-conversion act, which attracts four years jail term and fine of Rs 1 lakh for the guilty. On November 10, Das and Tata Trusts Chairman Ratan N Tata laid the foundation stone for Ranchi Cancer Hospital and Research Centre, which will come up between 12 and 18 months. However, the unpleasant events that took place during the year drew widespread criticism. On June 19, five women, who had gone to Kochang village in Khunti district to raise awareness on migration and human trafficking in Pathalgarhi areas, were allegedly abducted from R C Mission School and later gang-raped at gunpoint. Pathalgarhi is a practice in which villagers inscribe various tenets on huge stone slabs and ban outsiders in the area. The baby selling racket was busted when sister Konsalia and an employee of the Ranchi-based charity-run shelter home Nirmal Hriday were arrested in July for allegedly selling a child born to a minor inmate of the home to a couple from Uttar Pradesh.